A bubbly Anglo-Greek former electro-pop singer, Marika traded a life of rock 'n' roll for a life in the glorious food industry. She grew up in Cardiff watching her mum cook traditional British fare, then spent her summers in Corfu where she harvested aubergines and peppers with her aunts to sell at market and learnt about fresh produce and Mediterranean cooking. Disenchanted with the music biz, she took a cooking course, worked as a chef at The Real Greek in Hoxton, and catered private events. 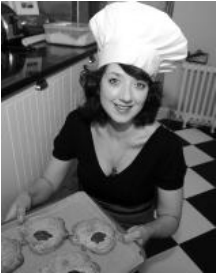 In 2009 she opened her own school to teach pie classes which has been recommended by Delia Online, Olive Magazine & more. 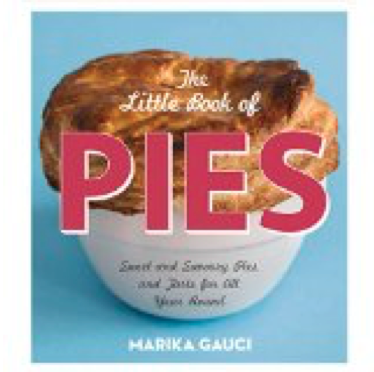 Her first book, THE LITTLE BOOK OF PIES was published by Square Peg in 2014. Follow Marika Gauci on Twitter.